I’m on vacation for the next two weeks, traveling in Barcelona, Provence and Paris. I’ll be riding the Metros in Spain and France (with two SNCF rides in between). So keep an eye on the Second Ave. Sagas Instagram account. I’ll be on Twitter when possible, but I won’t post much more than service advisories here. I’ll be back from Europe on September 11 so barring any breaking news, I’ll see you on September 12. In the meantime, some links to keep you occupied (for a minute or two or more): In the ongoing saga of the performance artist who caused a scene on the D train last week, police arrested Zaida Pugh today and threw the book at her. She is facing charges of reckless endangerment, obstructing governmental administration, false reporting an incident and disorderly conduct, according to Daily News sources, all stemming from her hoax that left a D train stranded. The cops acted fast in this case, and Pugh has seemed remorseful on social media. For a longer read, check out this City Journal piece on the Port Authority. In an overview of the massive beast that the Port Authority has become, Stephen Eide argues that it is time to disband the bi-state agency, a constant rallying cry of reformers and advocates. Eide argues that the regional model isn’t working as the Port Authority suffers from extreme mission creep and can’t make investments where needed. Eide recommends the PA restructure its debt, spin off the airports, and dump the World Train Center. Many have considered whether the MTA should ultimately wrap PATH into the New York City subway, but Eide does not call for the PA to divest itself of PATH. I’ll likely have more on this piece in a few weeks, and it’s an interesting one to ponder. When I get back, we’ll talk Midtown East rezoning and the MTA’s joining NATCO after dumping APTA. You can always read some free ebooks in the subway, but just don’t break too many rules while I’m gone. Needless to say, it’s been a wee bit hot out in New York City. As the heat wave finally crests so that temperatures are a cool 80 degrees as I write it, the heat has settled into the city like an unwelcome house guest. It fills every nook and cranny with uncomfortably stale air and the smells of New York in the summer. It is indeed a pity the days can’t be like the nights. New Yorkers though have a special dread of summer. It’s hot outside, but it’s worse underground. The heat traps of the subway system, made even warmer with the exhaust from subway cars pushing the mercury up higher, create unpleasant rides on a good day. At least, we think, the air conditioned subway cars offer a respite from the warmth. But what if it all goes wrong? For a while on the site, when summer dawned, I would dive into the history of bringing air conditioners to the subway system. 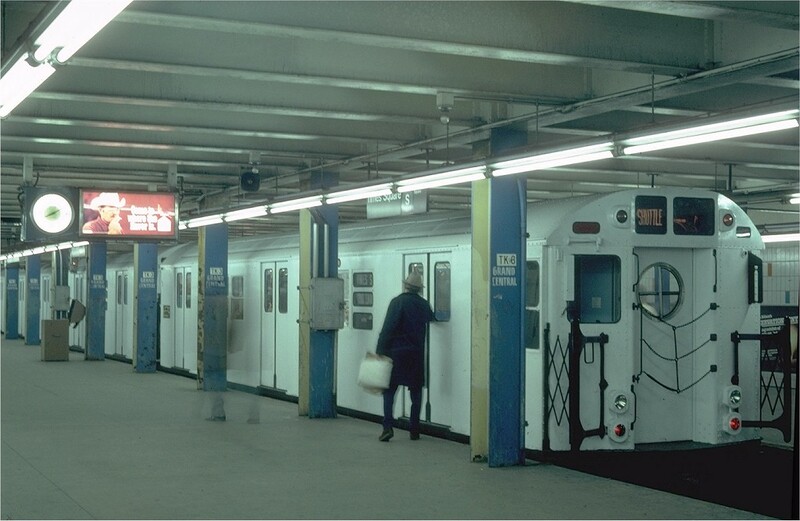 We haven’t yet solved the platform problem (although new deep-bore stations offer climate control), but after three decades of starts and stops, the MTA introduced a fully air conditioned fleet of subway cars by the mid-1980s. The ceiling fans seen in the old rolling stock at the Transit Museum seem simply quaint these days. Lately, though, certain air conditioners have begun to fail. Most notably, the single-compressor units in the R62A cars — what you might know as the 1 and 6 trains — have been plagued with outages. The problems began in bits and spurts a few years ago, but with the sustained heat, the issue has exploded in a wave of Tweets directed toward @NYCTSubway, and a transit agency that can’t do too much more than acknowledge the problem. Kate Hinds at WNYC has covered this story tirelessly this summer because she, like the rest of us, is wary of getting into the so-called hot cars. In late July, when she first wrote about the problem, the MTA explained that they field reports via social media, log them and try to figure out when to address them. The R62As are particularly prone to outages. These 30-year-old cars are due up for scheduled maintenance and have one compressor rather than multi-unit HVAC systems which are easier to repair. They’re old; they break. But the problem has been the repeat offenders. Hinds revisited the story this week, and either the problem is growing or people are paying more attention. The MTA, which still claims only around 12 reports today, has fielded upwards of 30 air conditioner complaints on Twitter each day this week, and may cars are repeat offenders with early reports stretching back to mid July or even early June. Simply put, the problem is not going away. Again, these issues are two-fold. First, the MTA doesn’t have the leeway to take one car out of service. Due to the way trainsets are coupled, removing one car from service basically torpedoes half of a ten-car train set. If the MTA took all of the problematic cars out of service, it wouldn’t have nearly enough rolling stock for peak hour demand. (By my count, at this point, around 40 or more different 1 and 6 train cars have been flagged for AC outages. I’m sure more hot cars are out there that haven’t been reported yet.) Second, while the MTA acknowledges that the R62As need scheduled maintenance, the SMS process can take nearly two years. These cars aren’t getting fixed overnight. It’s bad solution to a design problem that isn’t getting fixed any time soon. We’re going to be hearing about hot cars until the R62As all undergo scheduled maintenance, but it would behoove the MTA to be upfront about this. Right now, they’re asking New Yorkers to report hot cars but are essentially saying that we have to keep riding them until the agency can find a solution. Beware then those emptier cars in an otherwise crowded train. It’s going to be hot in there. Will technology-enabled buses or simply more frequent bus service attract more riders? There is something so glaringly obvious about proclaiming frequent service as the main driver behind transit ridership growth that we often tend to overlook it when discussing adding riders. Yet, every now and then, it’s worth remembering the basic maxim of transit planning: Above all else, frequent, reliable service is the key driver behind good and popular transit networks. Recently, it seems, the MTA has forgotten this truth. Despite massive growth in ridership, service increases have been incremental with, thanks to TWU work and shift selection rules, long lead times before the MTA can institute shorter headways. In return, the MTA has turned toward gimmicks to, as officials claim, attempt to attract Millennials to transit (even though Millennials are already major transit users). We’ve seen the MTA to discuss USB- and wifi-enabled buses, and we’ve heard MTA CEO and Chairman claim a long wait for a train is more tolerable so long as the station has cell service. As I said in March, this is lipstick on a pig. Too often, this simple fact is ignored by public agencies actually making decisions about how to invest. New York’s own $4 billion World Trade Center Transportation Hub—perhaps the world’s single-most expensive station—is evidence of that; rather than improve service frequency or speed, officials chose to direct public funds to a white monument that does nothing to actually ease the lives of daily commuters. So be wary when Gov. Cuomo starts touting technology as the solution to the MTA’s woes. No amount of wifi-enabled stations, USB charging points or video screens will eliminate the fact that the MTA should be running more service and building out capacity. More frequent service is what makes transit appealing, and everything else is just a distraction from the real drivers of a better transportation network. We shouldn’t lose sight of that in an era in which the political discussion is dominated by technology rather than by service levels. Despite an ongoing MTA etiquette ad campaign, recent observers spotted an increase in manspreading. As the subways grow more crowded, the way we take up space has garnered more attention. No one should care how we spread out, sit, or stand on a subway car that’s mostly empty, but when every square foot is precious, straphangers who take more than their allotted space come under the microscope. “Manspreading” was seemingly the 2015 word of the year in New York City as the unfortunate tendency of some riders to reserve space and take up multiple seats by spreading their legs became the Internet’s cause du jour. And now a Hunter College professor has taken a closer, observational look at subway etiquette. The report — available here as a pdf — used observations across a variety of subway lines in both the fall of 2015 and the spring of 2016 to identify certain etiquette trends. Observers found manspreading to be a steady issue while door-blocking was more prevalent. Pole-hugging, another etiquette violation, wasn’t nearly as widespread, and riders eating made up only around 1/2 of 1 percent of subway passengers. I found the passages on manspreading to be instructive. In the fall studies, observers found that 8.5 percent of seated male riders engaged on some form of manspreading, but this figure dipped to just 2.9 percent on crowded cars. “This	finding	suggests that manspreading is not a biologically-based phenomenon due to the body dimensions of males as some have argued,” they wrote. “Rather, its occurrence appears to be situational and depends upon the population density of the riders in the car.” In the spring, these totals jumped to 14.4 and 9.6 percent of riders, but the Hunter professors attribute this, in part, to a renewed focus on manspreading during the spring observations. Interestingly, though, the Hunter observers spotted a problem the MTA has recently identified as a cause for delay. The study calls the phenomenon “disorderly exits,” and we know it more commonly as door-blockers. Riders will not get out of the way of open doors as straphangers attempt to enter and exit subway cars or those entering will board before everyone exiting has alit. Thus, passengers have to queue up to funnel through a confined space, and train dwell times at stations (and thus delays) are increased. In crowded cars, disorderly exits were observed during over 30 percent of peak rides this past spring. The MTA has started an aggressive campaign of public address announcements aimed at reducing delays due to crowds, and I’ve worried this comes across as victim-blaming. Since the agency isn’t or can’t run enough trains to meet demands, they’ve taken to lecturing riders for delays that are kinda, sorta beyond the riders’ collective control. The Hunter study though suggests that perhaps riders on both sides of the doors are to blame for these delays. Some people can’t wait to run unto a train while refuses to clear the doors at busy stations. Delays mount one way or another. It’s tough to draw sweeping conclusions from an observational study, but the authors offer up a few words of advice. They note, interestingly, that females are less likely to enter a subway car that’s relatively empty, and they have some words of wisdom on boarding. “If the subways are to run more efficiently and attenuate the frustrations of riders due to delayed trains,” they write, “then one priority should be to focus on reducing the incidence of disorderly exits.” Easier said than done, eh? While working on a somewhat related piece tonight, I started collecting a series of numbers regarding the last few decades’ worth of subway ridership that I wanted to share. These numbers tell a story of a city that’s growing and a transit agency that’s going to struggle to keep up. They tell the story of planners potentially caught off guard and economics and construction timelines that are impossible to sustain. The numbers leave many questions up in the air, and I’m not quite sure what the next few decades will bring. Let’s start in September of 1996. Right before MetroCard discounts were announced, the average daily subway ridership was 3.684 million. Four years later, in September of 2000, daily subway ridership hit 4.745 million. Last October, average daily subway ridership reached 5.974 million. So in the span of 20 years, the MTA saw, on average, 2.3 million more entries per day or an increase of nearly 66 percent. That is, simply put, remarkable growth. On an annual basis, in 1992, overall ridership was below 1 billion; in 2015, that total topped 1.762 billion. On the other hand, in the intervening twenty years, the MTA has opened a new station, and that new station has been open only since September. The agency is currently constructing three more with the first substantial addition to the subway map in a generation set to open within the next seven months (give or take a few), but this seems like a woefully inadequate response to a system that would have felt downright empty in the early 1990s as compared with our packed trains at most hours of the day. This is, in a nutshell, the capacity crisis that has gained recent headlines. As I wrote last week, there are few immediate solutions and most transportation proposals seem to be bespoke ones driven by outside interests. The Brooklyn-Queens Streetcar, for instance, is going to do diddly-squat to help a Bronx commuter find a few square inches of space or a Q train rider at 7th Ave. fit into a Manhattan-bound subway at 8:30 a.m. Bike share solves some of the city’s last-mile problems, and despite my annoyance with the attention on ferries, they can help around the margins. But when a good year for the ferry system means 1.2 million riders over the course of 365 days (or 20 percent of today’s total subway ridership), we’re really comparing apples to oranges. So what happens? I’ve been beating the drum for open gangways for a long time, and it’s a solution the MTA needs to explore and adopt as soon as possible. It’s also imperative to find a way to build faster and cheaper. Many options are simply fingers in the dike of a flood of riders, and without a commitment to a high-volume, cost-effective expansion effort, the subways are going to be this crowded for decades to come. And what happens if ridership growth continues on its upward trajectory? That may just be a question without an obvious answer. Can we not with this again? I have a few more thoughts rattling around my head on the heels of yesterday’s exploration of crowded subway conditions. In particular, it’s worth discussing briefly a few other ideas around the margins of New York City’s transit capacity issues and whether or not these ideas solve, exacerbate or simply skirt the problem. So let’s discuss three proposals that won’t address the capacity crunch and one that will. 1. Gondolas East River Skyway. Remember that ridiculous gondola plan from late 2014 in which a real estate executive proposed an East River gondola system connecting Williamsburg with the Lower East Side? Thanks to the looming L train shutdown and DNA Info’s willingness to respond to a pitch email, it’s back in the news. Dan Levy wants to spend $135 million of private money to construct two stops in Williamsburg and one near Delancey St. He claims by running 40-person cars every 30 seconds, he could shuttle 200,000 people over the East River during the L train shutdown, but the math doesn’t work. The vast majority of subway ridership arises during peak hours, and even if Levy’s plan can be achieved, the most the gondolas could in an hour is 4800 passengers, a far cry from peak hour L train ridership. Plus, gondolas simply dump passengers into the subway at another point down the line, and thus, capacity problems are not resolved. 2. Ferries. I have lots of thoughts on ferries and none particularly positive. The mayor is sinking a lot of money and time into his five-borough ferry system (air pollution concerns be damned), but its returns will be marginal. It’s great for people who live and work near the water and don’t mind paying an additional fare for another mode of transit. It may won’t be totally useless, but it’s not a panacea. For $180 million, the city could do more to help improve freedom of movement for many more. 3. Brooklyn-Queens Streetcar. Does this take people from where they are to where they want to be? Not really, if you drill down on the plan. Plus, a large percentage of riders will be looking to transfer to the subway anyway, thus adding riders or simply shifting them around. Again, for $2.5 billion, I would expect more. So what’s the solution that could be implemented quickly and at a reasonable cost? It’s all about that bus. By investing in better bus routing and better bus infrastructure (including a massive rollout of pre-board fare payment, dedicated lanes and signal prioritization), the city could bolster a means of transportation that can add capacity to the core network and get people from where they are to where they want to be. Despite campaign assurances, de Blasio has dragged his feet on expanding Select Bus Service, and while buses have a reputation as an underclass means of mobility, a robust network can help move everyone. Buses will, by necessity, be a big key to moving people during the L train shutdown, but turning a pair of Manhattan avenues into dedicated bus-only lanes should happen sooner rather than later. Restructuring routes to include more cross-borough options would be a big help as well. Yet, buses seem to get the short shrift in conversations concerning capacity. That attitude should change. As a postscript, I would note that bikes too can help, but I see this as a scale issue. You would need far more robust bike infrastructure from lanes to parking to alleviate capacity concerns. A few hundred people biking won’t make the subways emptier. To say the subways are crowded these days is to state the obvious. Average weekday ridership hit 5,650,610 last year, up by 9.5 percent since 2010, and despite constant service changes and complicated re-routes, combined weekend ridership is up by nearly 11 percent over the same time period. As daily rides where we all stand shoved against people and doors and poles trying to find some amount of space attest, the trains are bursting at the seams. But the subway infrastructure has not kept pace [with increasing ridership], and that has left the system with a litany of needs, many of them essential to maintaining current service or accommodating the increased ridership. The authority’s board recently approved $14.2 billion for the subways as part of a $29.5 billion, five-year capital spending plan. On the busiest lines, like the 7, L and Q, officials say the agency is already running as many trains as it can during the morning rush. Crowds are appearing on nights and weekends, too, and the authority is adding more trains at those times. The long-awaited opening of the Second Avenue subway on the Upper East Side this year will ease congestion on the Lexington Avenue line. Installing a modern signal system, which would allow more trains to run, is many years away for most lines. When the MTA’s timelines are put forward in terms of “years” and “decades” and even something as simple as a 2-mile subway extension takes 10 years to build, relief is not exactly on the horizon. Yet, from where I sit, there are at least three steps the MTA should take immediately to address capacity concerns. 1. Open Gangways. One of the biggest missed opportunities of the last 15 years involves the MTA’s rolling stock designs. Since 2000, the MTA has seen nearly 4000 new subway cars enter service, and none of them were designed with open gangways, a feature standard in subway rolling stock throughout the world. As I wrote last year, open gangways can lead to a 10 percent increase in capacity without adding a single extra trainset, and while the MTA in 2013 acknowledged the need for articulated trains, the upcoming R211 order includes just one ten-car prototype. It’s not clear if the MTA has the option to add more open gangway trainsets to the R211 order, but not doing so would be a costly mistake for decades to come. This generation of rolling stock is likely to be in service until the late 2060s or early 2070s, and missing the opportunity to expand capacity now will burn us for generations to come. 2. Speed up CBTC installation. This is of course easier said that done, but recent reports have shown how it will take the MTA decades to fully modernize the signal system. CBTC would allow for modest increases in capacity, and prioritizing these efforts — whether through full line shutdowns over concentrated periods of time or other initiatives — should be an agency priority. 3. Just run more trains. As Fitzsimmons detailed, the MTA says it can’t run more trains on perennially crowded lines. For some, that’s due to routing choices — the Q is chock full of choke-points — and for others, such as the L, terminal capacity constraints come into play. Part of the MTA’s capital plan should involve expanding capacity through investments such as tail tracks at 8th Ave. and other minor upgrades that can net big results. For lines that aren’t maxed out, the MTA should just run more trains. But there’s a catch: An aggressive rolling stock retirement plan and a delayed Bombardier order has left the agency tight on available trainsets. Thus, just running more trains, in the short term, isn’t a practical solution even if it is the more obvious answer. Meanwhile, trains are operating at slower speeds, especially along crowded routes, and that too limits the agency’s ability to run more trains and clear out crowds. Where we go from here isn’t particularly clear. You’re not in danger of falling into the tracks due to crowded platforms, and the MTA doesn’t need to resort to temporary platform closures as London does or subway pushers as Tokyo does. But relief isn’t exactly around the corner. Crowded commutes with packed cars running later into the evening and earlier in the morning are just a way of life until the MTA has the funds available to engage in an aggressive push to increase capacity. For now, though, we ride as we always do: crammed into a subway car, hoping for the best. A few days ago, an interesting article from The Economist caught my eye. It has a dateline of Wisbech, a small East Anglian town with a population of around 31,000 that’s around 40 miles north of Cambridge and around 100 miles north of London. There’s no real particular reason for anyone not from Wisbech to know Wisbech exists, let alone visit it, but there it is, a quintessential-ish British small town. What draws our attention to Wisbech is something that isn’t there and hasn’t been since the 1960s. That missing something is passenger rail service. 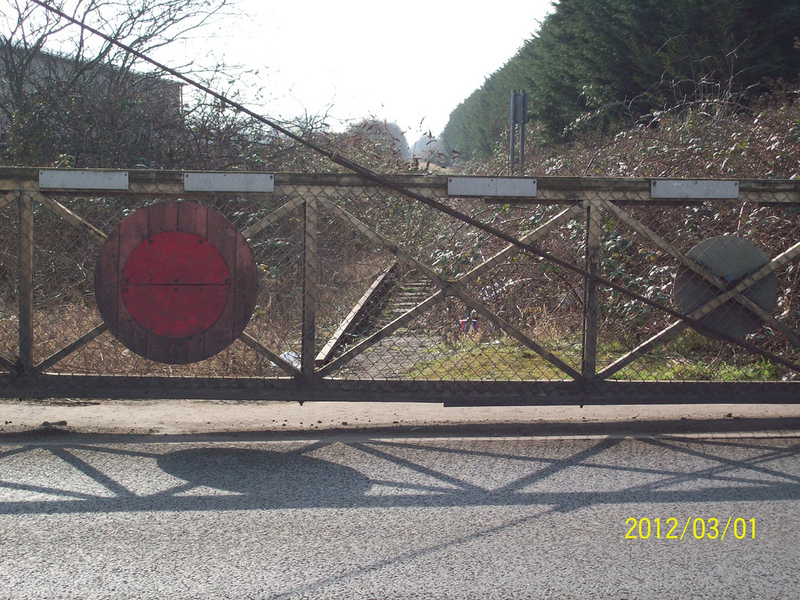 Wisbech has a right-of-way that would connect to Cambridge, but it hasn’t seen service since 1968 when a report by Richard Beeching, head of British Rail, called for a massive reduction in service by approximately one-third. Since then, Wisbech has hit troubled times economically. Yet Wisbech, like many towns cut off from the rail network, is now expecting great things. In recent years several hundred miles of railways around the country have been restored. As roads clog up and urban house prices climb, commuters, environmentalists and local politicians are pushing for more old lines to be re-opened. Some 200 proposals have been put forward, says Andrew Allen of the Campaign for Better Transport, a lobby group. It is a remarkable new trend. After the war, many thought that roads would rule and rail would go the way of canals. When Milton Keynes, a new town, was built 55 miles north of London in the 1960s, it was deemed not to need a station. One was at last opened in 1982. In 2015 6.6m journeys started or ended there. Traffic on other restored lines has boomed, too. The track that re-opened in 2015 from Edinburgh to the Borders expected 650,000 journeys in its first year. Half a million were made in the first five months. The process of re-opening is laborious. Feasibility studies take years. But with rail journeys doubling in the past two decades, Whitehall now realises it may be easier and cheaper to add rail capacity this way than through pharaonic projects such as HS2, a high-speed link north from London, set to cost over £45 billion ($64 billion). It is the growth of Cambridge, 40 miles to the south and a centre for high-tech, that has provided the impetus for re-connecting Wisbech. A new station is opening at the Cambridge Science Park and it is hoped that the old line to Oxford will be restored by 2024. The Wisbech rail link would halve travel time to 40 minutes. Cambridge has lots of jobs and Wisbech has cheap houses (the average price is around £150,000 compared with £398,000 in Cambridge), with a recent local plan proposing 10,000 more. If the link goes ahead, the government would meet most of the £100m cost. As The Economist notes, Britain’s rail restoration efforts would roll back under 20 percent of the so-called Beeching Cuts, but it’s a movement that’s gaining grassroots support in small towns such as Wisbech throughout the country. For minimal investments, Britain can increase rail capacity and solve congestion issues that are plaguing the nation. I can’t help but turn my gaze toward the LIRR’s Rockaway Beach Branch — the so-called QueensRail — or the ever-gestating Triboro RX plan. At a time when subway extensions cost over $1 billion per station and take the better of a decade to go just a few miles, reactivating rights-of-way that are no longer in service can be a cheaper, faster way to better transit, and England is proving a particularly fertile proving ground for this approach. Over the past few decades — even over the past one decade, it often seems — attitudes to rail and transit have shifted dramatically within New York City. The subways are in fact too crowded, and even a modicum of relief is years, if not decades, away. So our rights of way that aren’t used should be preserved for rail use in the future and considered for rail reactivation now. Giving up them would be a mistake with which future generations of New Yorkers would have to live forever. Isolated areas in Queens shouldn’t turn into our own versions of Wisbech.